PRAB’s Conveyor Selection Tool helps you find the options that are best-suited for your specific application. 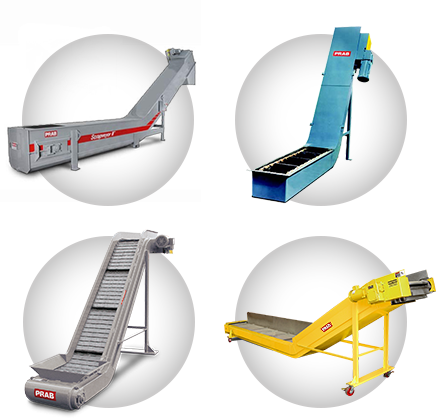 Please complete the form below to find the most effective conveying solutions for your application with PRAB's NEW Conveyor Selection Tool. Please send me info regarding the cost savings my company can experience with PRAB Conveyor Systems. Our Conveyor Selection Tool is just one of the many ways we assist you with your scrap handling equipment decision. Our experienced engineers and product specialists will work with you to put together the ideal solution for your facility’s type of materials, layout, requirements and expectations.